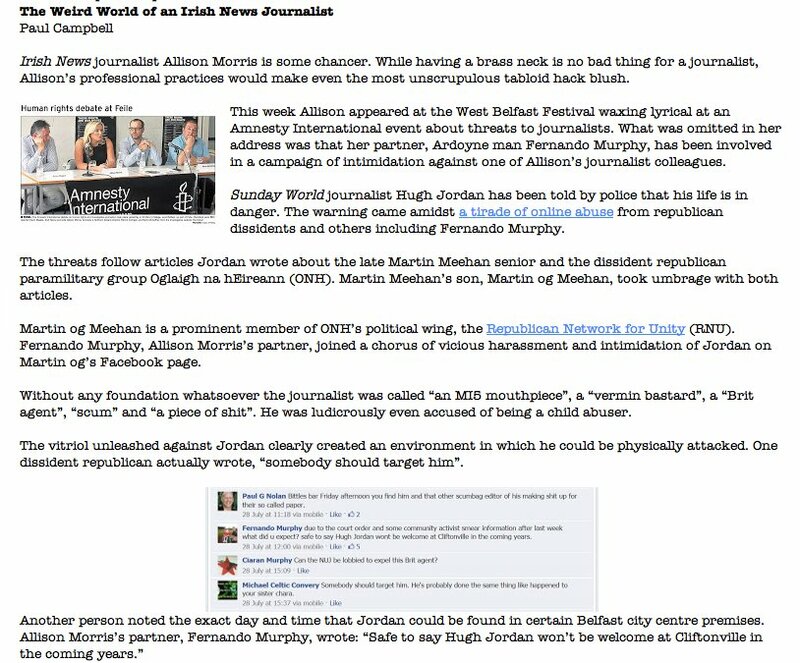 Some of my readers will be aware of the ongoing dispute between my colleague Anthony McIntyre and Noel Doran, editor of The Irish News and one of his senior reporters, Allison Morris over, inter alia, that newspaper’s coverage of an interview Morris had with Dolours Price and the consequent subpoenas served on Boston College by the US government on behalf of the PSNI. 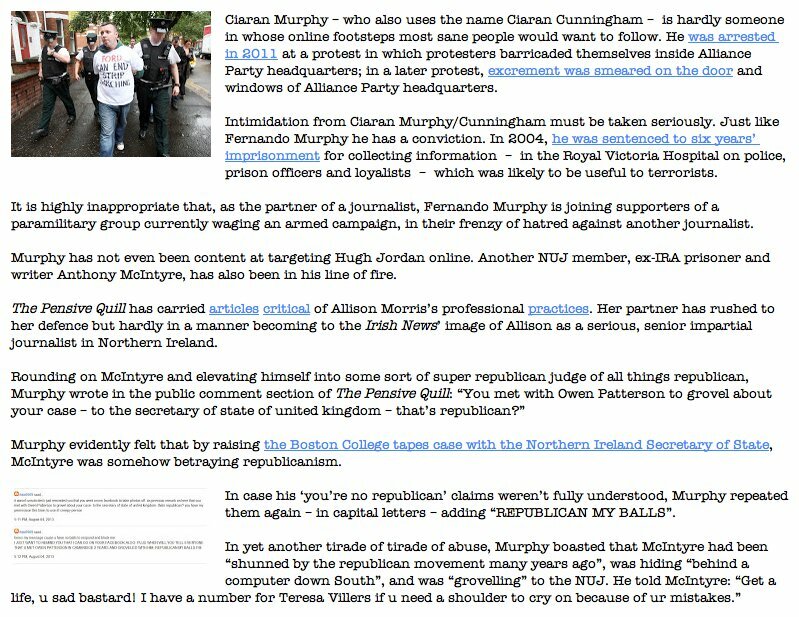 Recently I contacted Noel Doran by email offering him the right to reply to an article that had appeared on McIntyre’s Pensive Quill blog which I intended to reproduce as an act of solidarity over threats from lawyers to close down his site. I reproduce the exchange below and beneath that the original article at the heart of this argument. 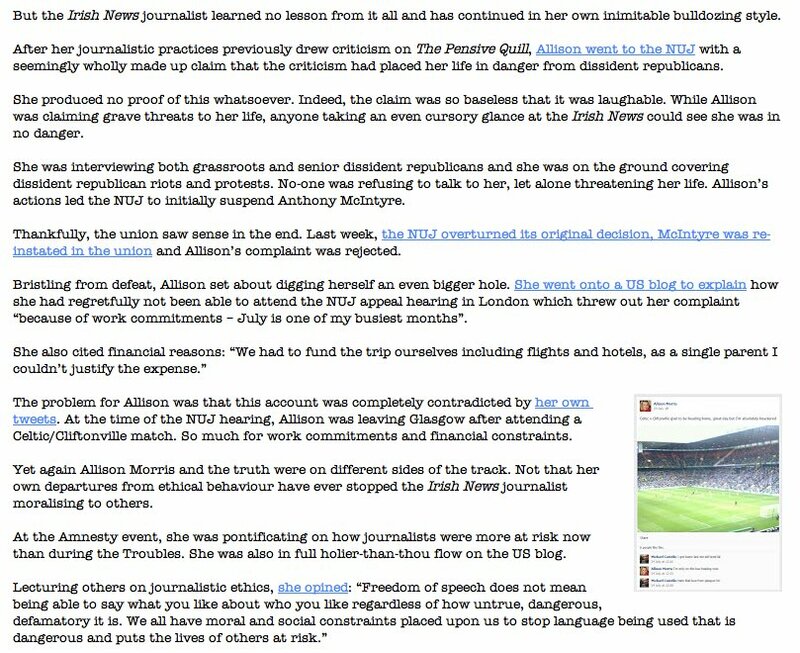 Suffice it to say Noel Doran never took up my offer (click on each email and article extract for a larger version). I will make a couple of comments. Firstly, readers can check my emails of 19th and 27th September for the presence of any profanities. I can see none and indeed I am not in the habit of using them in emails. That is not my style. Either there is something very wrong with the Irish News’ firewall or something very wrong with Noel Doran’s understanding of how such things work. 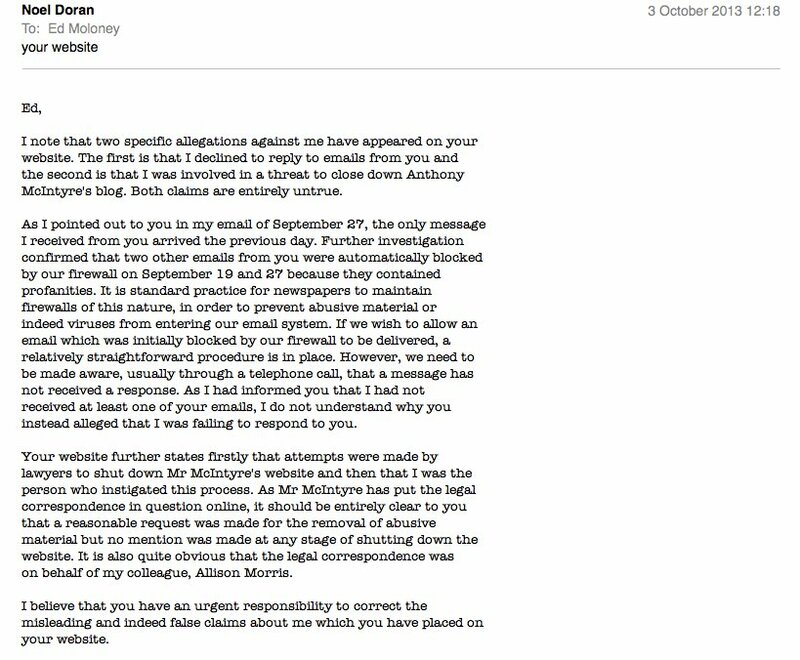 Secondly, I am glad that Noel Doran is no longer seeking to close down the Pensive Quill and that he now prefers the route of reply to legal action against those he has quarrels with. I have already offered Noel Doran the right to reply and of course that offers remains extant. Noel – I am glad, at least, that you now implicitly accept that the email I sent you on September 27th contained no profanities at all and that there were none in my substantive message to you on the 19th. But why did you include these in your complaint when you knew it wasn’t so? As for a writer using a nom de plume or as you prefer to call it “a pseudonym”, there is a long, distinguished and honorable record of this happening in literature, politics and newspapers, from JK Rowling to Stephen King, from the Bronte sisters to Benjamin Franklin; the Irish Times used Quidnunc, Hibernia used Tom Luby and the Federalist Papers were by-lined by Publius, all to hide the true identity of the authors. So nothing new or remarkable about it happening on a blog. It’s part of the history of human literature. You can read about the practice here and here. So, Noel, I guess that means you won’t be giving a response to the Pensive Quill article after all? That’s a pity. You call it “nonsense” and if so it should be easy for you to answer and demolish. Since you won’t do that you can hardly complain if some people people conclude you won’t respond because you can’t. One final word on anonymity in journalism. 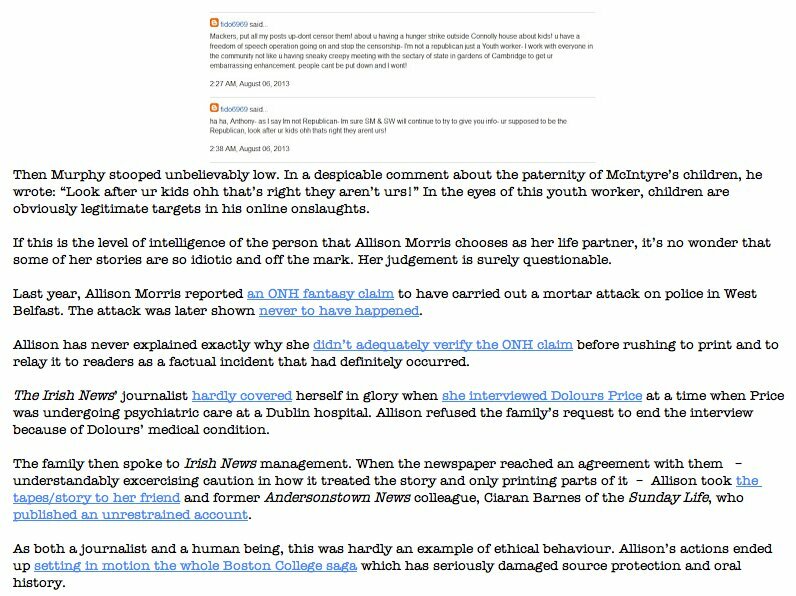 Doesn’t the Irish News grant anonymity to sources for its stories all the time, not least Allison Morris in her various pieces on dissident republican groups? I understand and approve and have done it myself often but pray, what is the difference between that and a writer using a nom de plume to ensure his/her anonymity. On that note this tedious exchange has ended. Is Fergie The Most Devious, The Most Cunning Of Them All? As a lifetime supporter of Tottenham Hotspur, it doesn’t take much for me to delight in the travails of Manchester United, a team which, when I was a regular visitor at White Hart Lane, could be almost guaranteed to ruin your season. Aside from one memorable Saturday when Spurs hammered United 5-2, with Jimmy Greaves scoring a goal to die for, United would invariably score easy wins over Tottenham and invariably end the season ahead of them in what was then the First Division. But in football every dog has its day, it seems. Arsenal once strutted the land but no more; similarly Liverpool and Everton and even Chelsea (a team whose supporters are a particularly obnoxious bunch) look like they are in severe difficulties. And so with Manchester United, it appears. Today’s defeat by Manchester City was so comprehensive and United’s performance so lacklustre and uninspiring, that the thought that a decline is on its way of the sort that can last for years and take a near miracle to reverse does not seem as absurd as it would have been two or three years ago. That happened after the Busby years and it wasn’t until Alex Ferguson moved from Aberdeen to take over at Old Trafford that United’s fortunes improved. Ferguson has now moved on himself, although he appears still to be hovering in the background, and had a crucial say in the choice of his successor, the Everton manager David Moyes. Now, I had always regarded Moyes as a typical middle of table manager, solid, reliable but lacking that certain je ne sais quoi that is present in the exceptional manager. 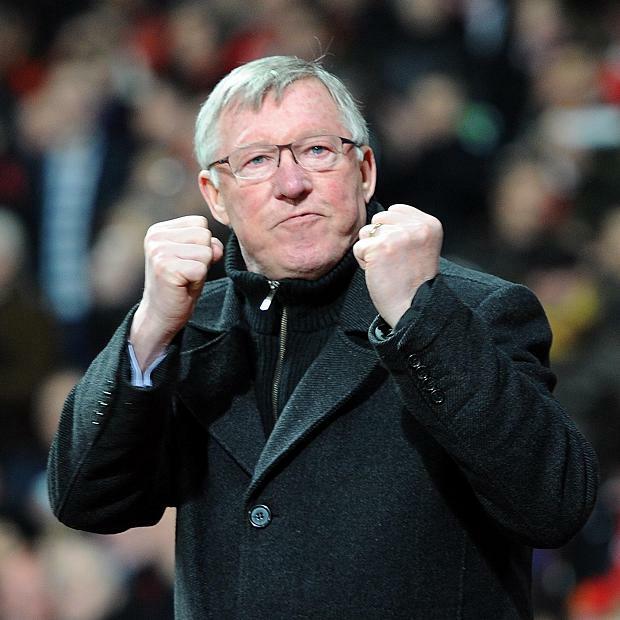 And since I always had assumed that Ferguson was no idiot, I wondered why he had chosen this man to succeed him. 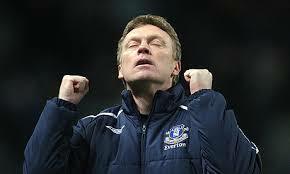 David Moyes – lacks Fergie’s ‘je ne sais quoi’? Thinking about this I was reminded of an experience I had in Irish journalism and I must tell the story carefully. Irish journalism happens in a very small if often vicious arena and if I go into too much detail it will be a simple matter to put a name to the person I am writing about. 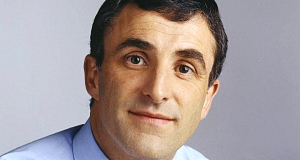 Anyway this journalist was very successful and very, very ambitious and during his career held down some of the most important and glamorous jobs in Irish journalism. His professional life had always seemed to taken an upwards soaring arc and no-one, it seemed, could come near equaling his flair and ability to catch the scoop. At least that was the image. One day, in his cups, he divulged one of the secrets of his success to me. Whenever he moved on from one job to another he naturally had a great say in choosing his successor. And so, he said, he always made sure that the person who took over him was several notches below in terms of ability. That way they would never make the sort of impression he had and his record would look even more lustrous. I tell this story because I wonder if Fergie has done the same at United, helped choose a manager whose performance he knows will make his years look all the better? I was reminded also of Charlie Haughey’s famous words about Bertie Ahern, words that would always haunt the future Taoiseach: “He’s the man. He’s the best, the most skilful, the most devious, and the most cunning of them all.” Except those honours really belonged to Charlie. As they do to Fergie. UPDATE – I forgot to say that the author of this fascinating piece is Alan J Kuperman. As readers of this blog may guess, there is a soft spot in my heart for Libya. I spent two happy years there in the early 1970’s teaching English to Arab students at Tripoli University and these happened to be some of the best years of the Gaddafi dictatorship, when he was seriously intent on redistributing oil income to the country’s people. Roads were being built all over the place as were homes, schools and hospitals. Everyone had a job, usually working in some government office, and Libyan pockets were stuffed with dinars. Our bosses were friendly and hospitable, fillet steak was sold at the same price as stewing meat in subsidised butchers shops, home made booze was always within reach and the warm Mediterranean sea and its golden beaches were never more than half a mile away. And we were young. Clearly things went downhill after I left for reasons and in ways which would take too much space to describe here. By the mid-2000’s Gaddafi had decided to maneuver his way out of his self-imposed dead end and made his peace with the West. Tony Blair and a host of American neocons were welcomed and feted in his desert tent in an effort cling on to power but it didn’t work out, as I suspected it wouldn’t. Gaddafi gave up his pathetic stock of chemical weapons, allowing Bush to claim his Iraq intervention had worked, European leaders wooed him quite nakedly for his money and Gaddafi turned into a clown. He made the fatal mistake of mistaking their approaches for friendship and the advent of a new-found respectability while all the time they held knives behind their backs, biding their time but ready to strike. And so when the West, in the shape of NATO bombers and special forces on the ground intervened in 2011, allegedly on the grounds of preventing a civilian slaughter in Benghazi by Gaddafi forces, I didn’t quite believe the reasons they gave. Not only did the story not hang together but I knew from personal experience the deep layer of Western hostility to his regime and the desire for revenge for his past activities that existed in London and Washington. If they were looking for an excuse to remove him, the Arab Spring provided it. Many thanks to “Wicklow” for this tip that the famous Tom Mangold interview with a young Martin McGuinness is now on YouTube, the one which begins with the celebrated question: “As the officer commanding the Derry part of the IRA Provisionals….? It was, allegedly, the threat that this interview would be used against him that persuaded him both to give evidence to the Saville Tribunal confirming his IRA membership at the time of Bloody Sunday and to refine the description of his IRA career so that he supposedly left the organisation back in 1974. Up until then the report in the London Independent below was how he normally dealt with the matter, which more or less accorded with the traditional stance of IRA members when confronted by the membership question, i.e. a non-denial denial. Given his conviction in a Dublin court for IRA offences and his courtroom boast of his pride at being an IRA activist he could hardly do anything else. Unencumbered by such baggage, Gerry Adams is on the other hand able to issue flat denials of IRA associations. Mr McGuinness did not appear on the programme, but yesterday gave a series of interviews in which he denied its claims. He told a BBC interviewer that as a young man he ‘took up a particular stance which I’m not prepared to elaborate on in this programme’. 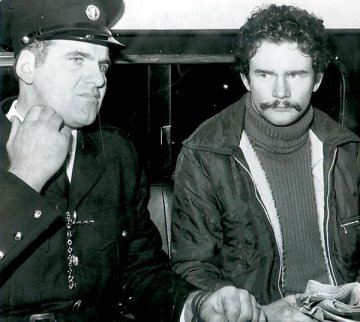 After his appearance at the Saville Tribunal, McGuinness’ narrative was polished so that while he was not denying IRA membership in the early 1970’s, he insisted he had left the organisation in 1974 or thereabouts. For reasons that defy understanding his half-lie is paraded by some in the media as evidence of his ethical superiority to Gerry Adams when in fact it is qualitatively no different and arguably is worse. Obama’s Syrian War: Oh What Tangled Webs We Weave When First We Practise To Deceive! The Syria researcher whose Wall Street Journal op-ed piece was cited by Secretary of State John Kerry and Sen. John McCain during congressional hearings about the use of force has been fired from the Institute for the Study of War for lying about having a Ph.D., the group announced on Wednesday. O’Bagy told POLITICO in an interview Monday that she had submitted and defended her dissertation and was waiting for Georgetown University to confer her degree. O’Bagy said she was in a dual master’s and doctorate program at Georgetown. Kimberly Kagan, who founded the ISW in 2007, said in an interview that while she was “deeply saddened” by the situation, she stands by O’Bagy’s work on Syria. O’Bagy started at the institute as an unpaid intern and was pulled into their work on Syria when a researcher needed a fluent Arabic speaker, which transformed her internship into a much longer gig. Kagan hired O’Bagy as an analyst around August or September 2012, and said her understanding was that O’Bagy was working toward her Ph.D. at Georgetown. Kagan originally gave May of this year as a rough estimate of when O’Bagy’s biography on the ISW site was updated to state she had obtained her Ph.D. But the internet archive the Wayback Machine captured a version of O’Bagy’s biography page that listed her as in a joint Master’s/Ph.D. program as of June 23. Another organization O’Bagy was affiliated with, the Syrian Emergency Task Force, listed her as Dr. O’Bagy on May 13, however. When asked further about the timing of O’Bagy’s academic claim, Kagan told POLITICO that O’Bagy “misrepresented to me in May that she had successfully defended her dissertation.” Kagan said she then started to call her Dr. O’Bagy, but that the website change only came later this summer when ISW did a broad staff update. According to Kagan, O’Bagy in May led her to believe she had successfully defended her dissertation when she had actually failed her defense. But the piece had also come under fire for misrepresenting her affiliations. Originally the op-ed only listed O’Bagy, 26, as only “a senior analyst” at the ISW, later adding a clarification that disclosed her connection to a Syrian rebel advocacy group. “In addition to her role at the Institute for the Study of War, Ms. O’Bagy is affiliated with the Syrian Emergency Task Force, a nonprofit operating as a 501(c)(3) pending IRS approval that subcontracts with the U.S. and British governments to provide aid to the Syrian opposition,” the WSJ added in its clarification. Georgetown’s Center for Contemporary Arab Studies lists O’Bagy as one of the 20 graduates from this year’s Master of Arts in Arab Studies program. 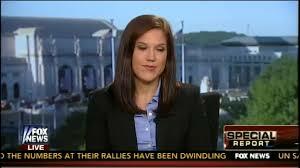 On Monday, O’Bagy responded to critics of her work on Syria. I post these two stories without comment, since comment seems unnecessary. The first is from the Irish edition of the Daily Mirror, dated Saturday, September 7th, 2013. The second is from the same day’s Irish Examiner. Good luck with your new career in Sinn Fein, Chris (p.s. someone suggested a better headline for this piece so I have altered it; apologies to Irish language purists). Former Fianna Fail TD Chris Andrews has said his decision to join Sinn Fein was based on the party’s commitment to pursue the changes that Ireland needs. The national executive earlier accepted his application to join its ranks just a year after he left the party his grandfather founded. Mr Andrews said going to a new party was not an easy decision as his family has been involved in Fianna Fail since its foundations. “But it has become very clear to me that the party no longer represented the ideals or values of its founders, including my grandfather,” he said. “I left Fianna Fail in 2012 following a long period of disillusionment at how distant the party had become from ordinary people suffering the brunt of social and economic problems. “I have joined Sinn Fein because I firmly believe that it is genuinely committed to pursuing the political, social and economic change that Ireland now requires. “My decision has been influenced by my first-hand experience of Sinn Fein’s work at community level, its role in the Peace Process, its strong commitment to a united Ireland and its track record on international solidarity. 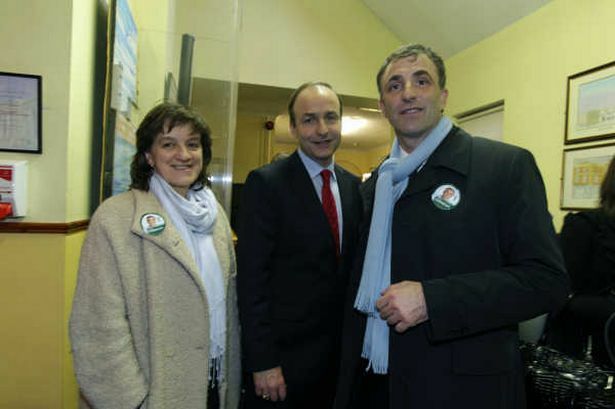 Mr Andrews, who served as a TD for Dublin South-East, is hoping to run in the next local elections in the Ringsend area. He said the problems that Ireland faces require a major political and economic change. “I do not believe that such change can be delivered through Fianna Fail, Fine Gael or Labour,” he added. Mr Andrews is the nephew of David Andrews, a former Fianna Fail minister who helped negotiate the Good Friday Agreement, and his grandfather Todd Andrews helped found Fianna Fail. He resigned from Fianna Fail last year following a social media controversy and clash with party leader Micheal Martin. It emerged the 49-year-old set up a phoney Twitter account which he used to criticise Mr Martin and other figures within the party. He was discovered after Eddy Carroll, husband of senior party figure Kathryn Byrne, used video and photo surveillance to catch him in the act. Sinn Fein party whip Aengus O Snodaigh said he was pleased to welcome Mr Andrews into the party. “Both Chris and I have worked on campaigns together and indeed were shipmates on the 2008 and 2011 freedom flotillas to Gaza,” he added. Former Fianna Fáil TD Chris Andrews has been left red-faced just hours before he applies to join Sinn Féin after a series of tweets emerged in which he accused the party of being corrupt, referred to the IRA murder of Jean McConville, the Northern Bank raid and “the number of people Sinn Féin reps have killed over the years”. Using a phoney Twitter account he also insinuated that Sinn Féin president Gerry Adams was a member of the IRA — an accusation widely believed but always denied by the SF leader. Later today Sinn Féin’s national executive is expected to consider an application from the son of the late Fianna Fáil MEP Niall Andrews to join the party with a view to running in next summer’s local elections in Dublin. However, it has emerged that Chris Andrews, 49, made a series of highly critical tweets of Sinn Féin in March and April of 2012 from the same phoney Twitter account @brianformerff which he used to criticise Fianna Fáil leader Micheál Martin and other figures within the party. On that occasion he was uncovered after the husband of a senior FF party figure used video and photo surveillance to catch him in the act. He admitted the tweets were his and resigned from the party before a disciplinary process was begun. In this latest embarrassment he engaged with other Twitter account users saying “… given what SF has done to innocent people it’s a bit much listening to you pontificate”. He mocks one Twitter user for “believing everything Mahon report says but doesn’t belive (sic) that Gerry Adams was in the IRA!”. Other tweets referred to “workers on their way to bank raids” and “so Ira never done bank robberies”. In 2004, £26.5m was robbed from the Northern Bank in Belfast. Both the British and Irish governments blamed the IRA for carrying out one of the biggest bank raids in UK history. Sinn Féin has denied the IRA was responsible. 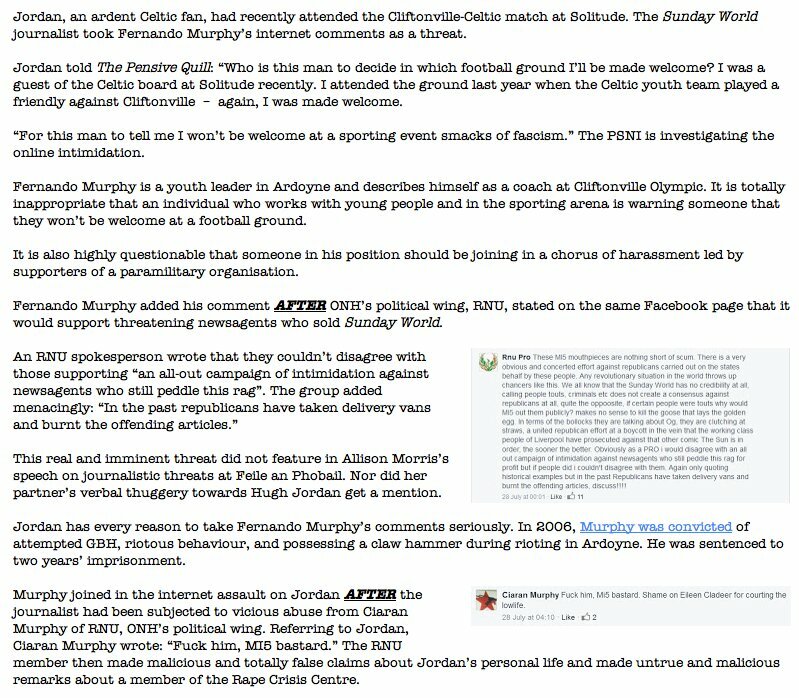 Last year, Andrews was unmasked as the person behind the anonymous @brianformerff account which posted over 300 tweets, many highly derogatory of Micheál Martin and other senior FF party figures. Mr Andrews is a grandson of one of Fianna Fáil’s founders Todd Andrews and a nephew of David Andrews, a former Fianna Fáil minister who helped negotiate the Good Friday Agreement. Yesterday, Mr Adams would not be drawn on whether he believed Mr Andrews would be a suitable SF candidate. Chris Andrews was not available for comment. Fianna Fáil also refused to comment.